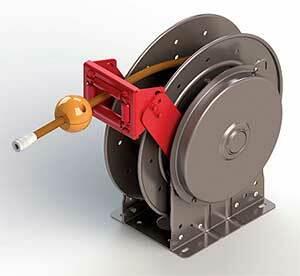 • Standard N Series has a narrow frame and compact mounting base. • Declutching arbor to prevent damage from reverse winding. • Standard inlet: 90° balanced pressure swivel joint, 1/2" female NPT threads. • Constant tension is available consult mdi. Standard “SR” roller position shown in image is standard. Note: *Must specify roller position SR, VR, TR. See below for roller position information. • Installed in the upright position at any point from floor to eye level. • Installed on a wall with hose/cable to be retracted close to the wall. 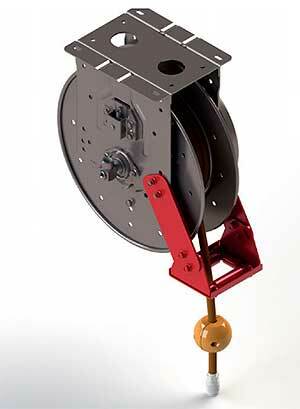 • Installed on ceiling, hose/cable will pay out parallel to and close to the ceiling. 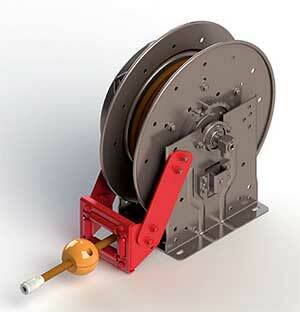 • Installed in the upright position, hose/cable will be pulled upright from the reel. • Installed on ceiling to lift hose/cable. • Installed on ceiling with hose/cable to pay out parallel to the ceiling. 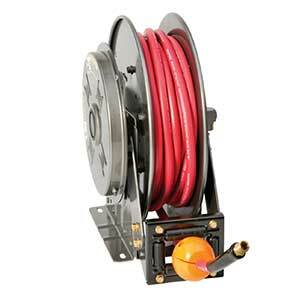 • Installed on a wall with hose/cable to be pulled straight down.